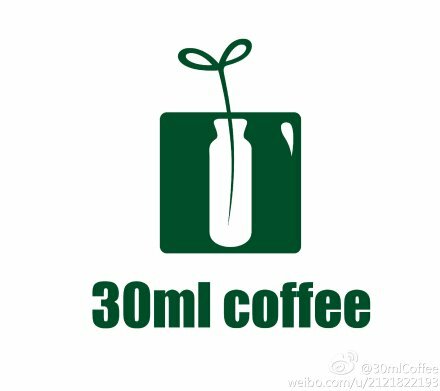 30mlcoffee without doubt is one of the most successful, most dedicate to coffee, most professional cafe in China; for all these reasons it makes 30mlcoffee the most well known specialty cafe chain in Fuzhou, Fujian province China. The founder Li, Ying (Tom) was the seoncd runner up in barista chamipion competition. The coffee in the feature photo is his original, he names it – 啡色生活 （Fēi sè shēnghuó）, also known as “Life-Life” in English. The story behind it is to stresses the importance of life, of a coffee lover’s life. Life-Life includes sweetness, bitterness, rosery, smoothness and more. You have to try it to know what a life tastes like. Life-Life is only a very small part of 30mlcoffee’s success. Another reason 30mlcoffee could gain such postivie reputation in just a few years is because of it’s own unique blend. All coffee beans in 30mlcoffee are pick and roast freshly by Tom weekly. His espresso blend and roasting technique are very well-known in Fuzhou, it is also the main reason customers keep coming back. All and all have brings 30mlcoffee in to the journey of franchising, we now operate in 10 different locations in Fujian province, and more branches are coming 2015. We would be so please to meet, talk and exchange coffee experience with you. Please feel free to contact me through this website (ms.redlip@outlook.com) or email us at 30mlcoffee@163.com .